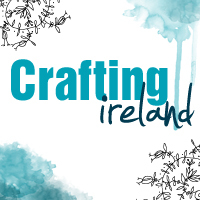 Welcome to the 12 Days of Christmas series on Crafting Ireland. 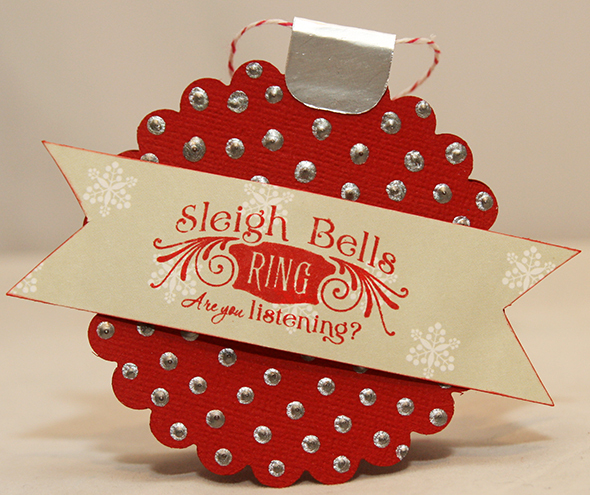 Today we have a fun little tutorial from Nicole showing you how to make some cute little mini cards that can then hang on a Christmas tree. 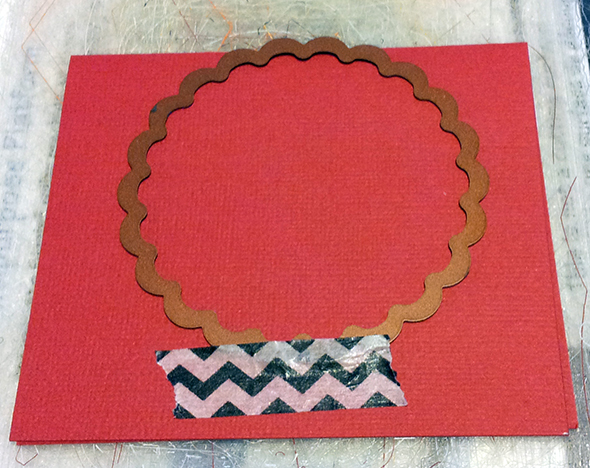 Circle or scalloped circle die – you could use any shape you wanted really, stars would look great too! 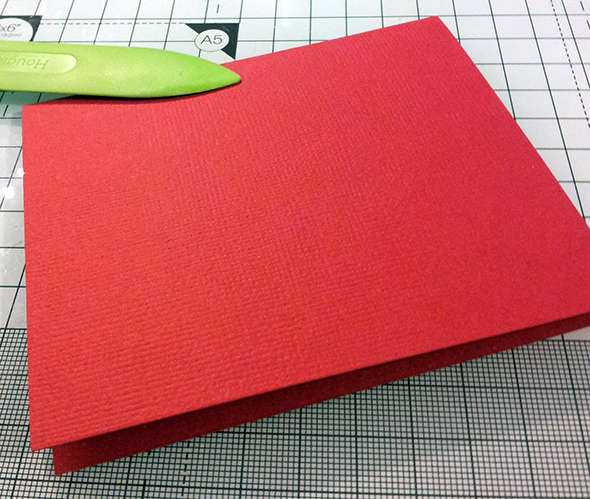 Fold some card stock in half. Make sure its big enough when folded to still cut your shape from. Place your die on the folded card and make sure the top of the cutting edge is slightly off the top of the fold on the card. This will mean when you die cut it you will have a small piece on the top keeping the two shapes together. 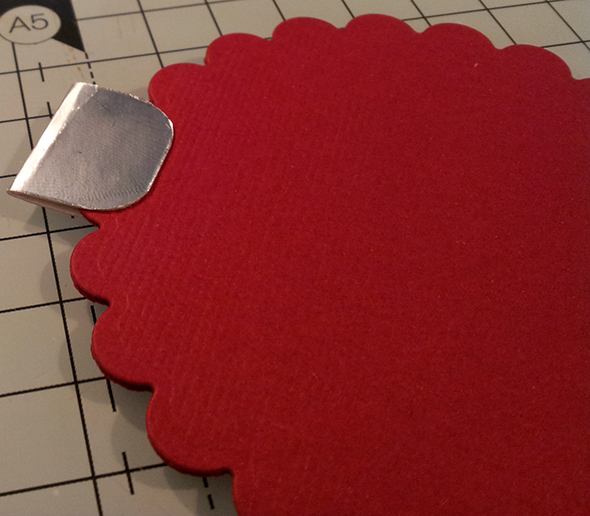 Cut a piece of sliver card to 2cm x 3.2cm. 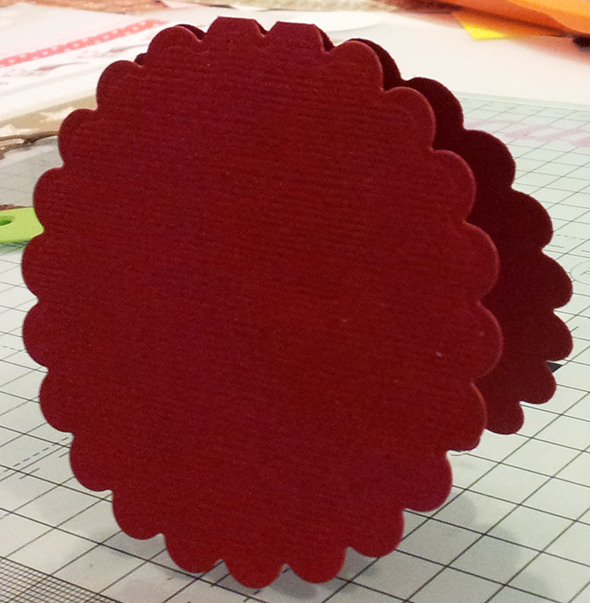 Round the corners of this with a 1/4″ corner rounder. 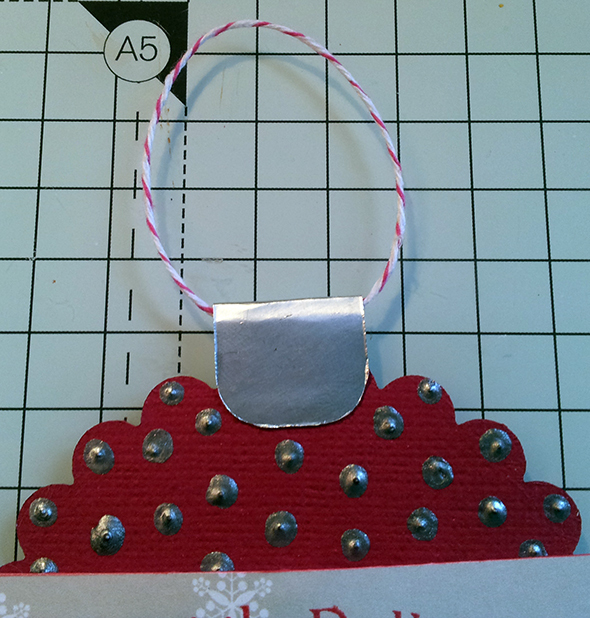 Fold this in half and glue to the top of the ornament. Make sure to leave space at the top of this, you will be putting your thread loop through this later. 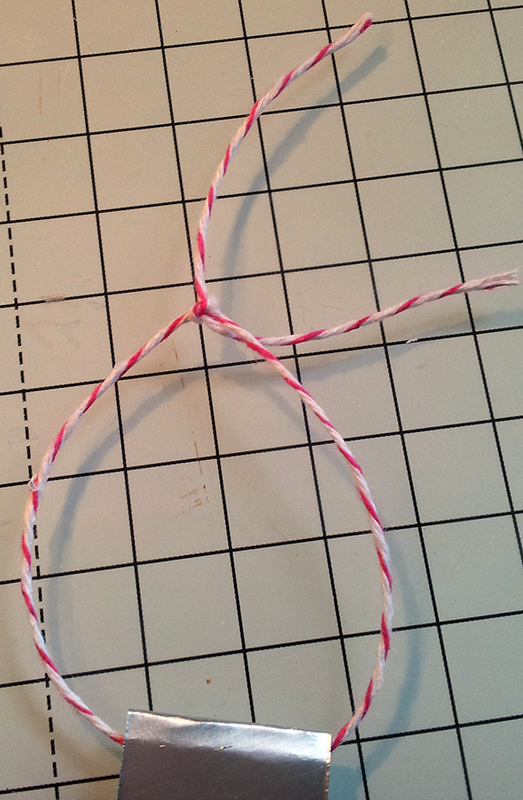 Thread some bakers twine through the silver tab you added on to the top and tie it off. You pull the knot around so that it is hidden in the silver tab, it looks much neater this way. 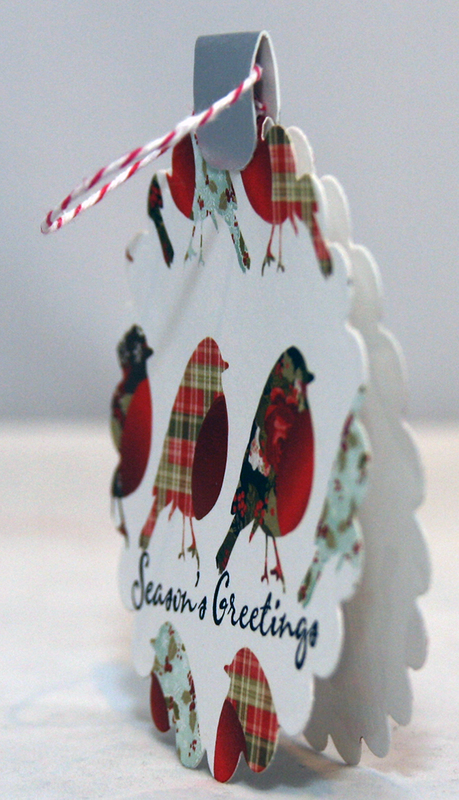 Write your message in your mini card and send to whoever you like. 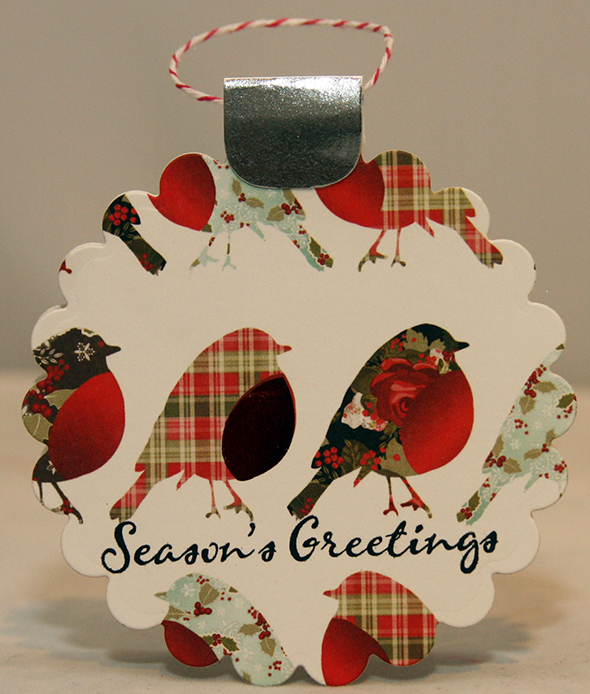 This is a lovely little way to send a Christmas greeting. It could also be used as a gift tag on a present too. You can see two completed projects below….